Provides local and remote PS/2 keyboard, PS/2 mouse and VGA monitor access to a PC up to 600 feet via CAT5 cable. 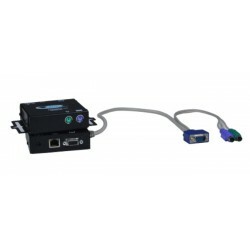 The VGA PS/2 KVM Extender provides local and remote stereo audio, KVM (PS/2 keyboard, PS/2 mouse and VGA monitor) access to a PC up to 600 feet using CAT5/5e/6/6a cable. 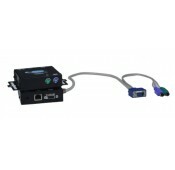 Local unit provides local KVM and audio access.